Tendon Ginza Itsuki @ Tanjong Pagar Road | JACQSOWHAT: Food. Travel. Lifestyle. 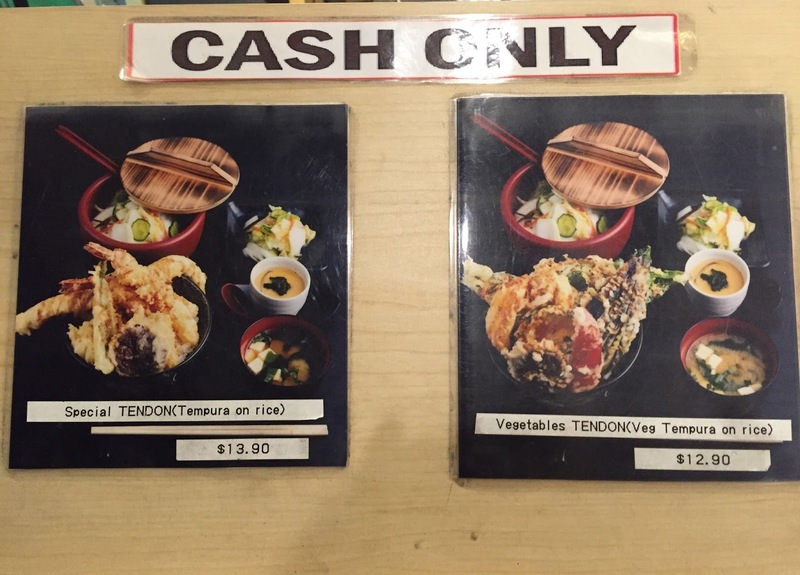 The menu is straight forward, just 2 types of tendon set - Special Tendon $13.90 and Vegetables Tendon $12.90. Also note that they only accept cash and no credit cards, nearest ATM is opposite the road. Both Tendon set comes with a chawanmushi (steamed egg) and miso soup. Pickles are free flow on the table as well. For less than 15 bucks, this tendon set is definitely worth value. The space of this 24-seater outlet is similar to that at Gyoza King, featuring bar seats which display a view of the chef preparing the food in front of you. The only drawback is you will reek of oil after your meal. Glad to try both of the tendons so first, here's Vegetables Tendon $12.90. This bowl of tendon features vegetable tempura on rice such as pumpkin, shiitake mushroom, lotus root, eggplant etc, a total of 8 pieces rest atop a bed of Japanese rice. After that, the crispy battered tempura is drizzle with this sweet and savory sauce which tasted similar to teriyaki sauce. The other set would be the Special Tendon $13.90, tempura on rice features 2 pieces of prawn, 2 pieces of chicken, 4 pieces of assorted vegetables and a half boiled egg underneath. As mentioned above, it is drizzle with sauce and the set comes with a chawanmushi (steamed egg) and miso soup. The taste is more or less similar, with only the ingredients being different but of course the special tendon has more variety. For that portion and cost, I think it's rather worth value for a tendon set. Do try to avoid weekends as the queue can be quite long. Overall, this bowl of tendon is no doubt comfort food, the only major drawback is that you will reek of oil after that - like a walking tempura.